Dorasa knows that many things which seem to be dead are really just hiding in the earth. 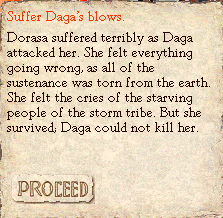 Daga has dried up many things, and so the usual holes in the earth are gone. Dorasa needs to find a new way of making a hole. 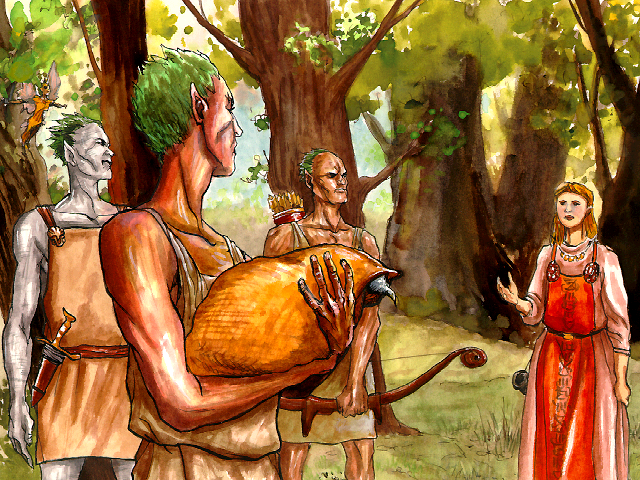 So Dorasa goes to Ernalda's grandchildren, the Aldryami, and asks them for one of their seeds. "You abandoned us, Ernalda, and joined our enemies, the meat-men. These meat-men, this new tribe of yours, they are forest-killers. And those who kill forests kill us." The legends may or may not be helpful.